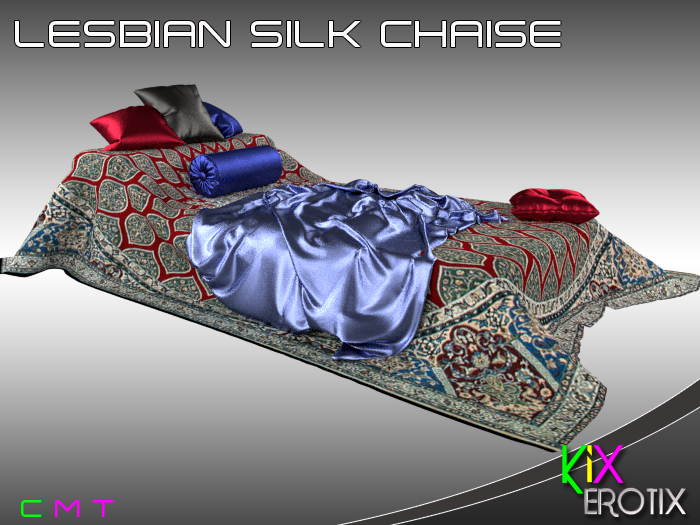 Sometimes it is good to take an older popular item and jazz it up and we have done that big time with our Lover's Heart Bed. 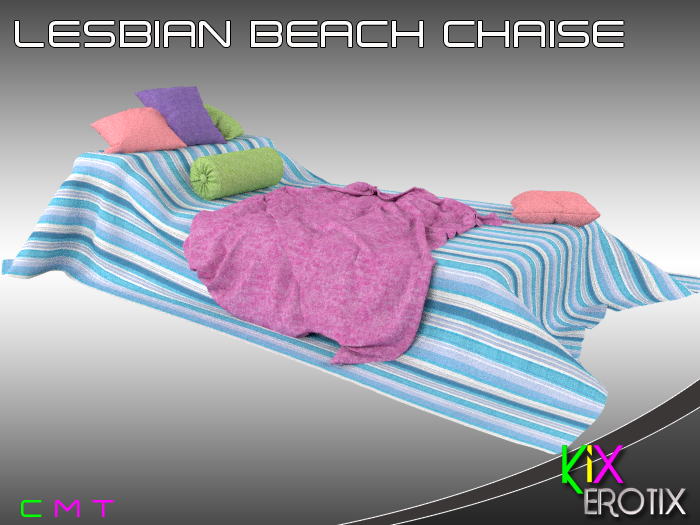 New textures to make full use of materials, a shed load of new animations, new props and a new all female version as we have been asked many many times to provide a girl/girl version of our products. Even bigger news, these beds are available to all group members for half price until Sunday 21st January 2018 in either PG, Adult or Girl/Girl versions. We have been asked many times for an all female version of our products. So here it is! We have started with our ever popular chaise range. 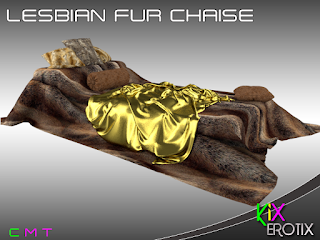 Along with many KiX original and exclusive animations and props, we have added the best of the best in FF animations from Second Life to bring you KiX Lesbian Chaise in 3 different styles Fur, Silk and Beach.